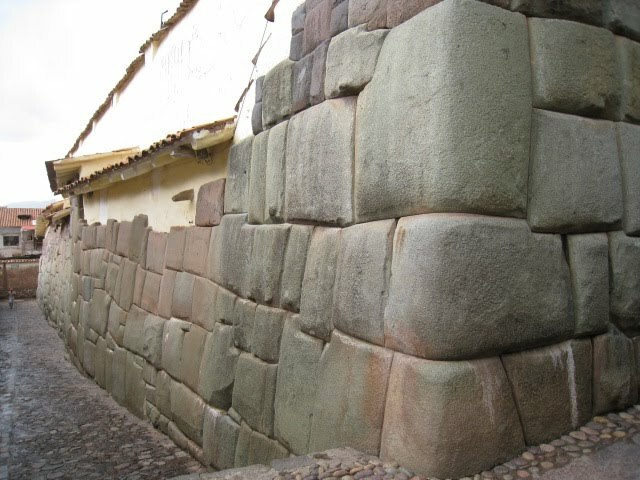 clayhastings.com: We are finally in Cusco. - no kidding this time. 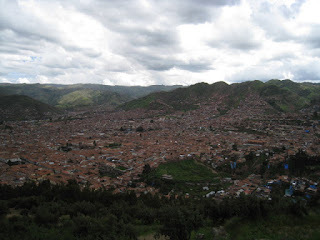 Well, we arrived by super-fast and comfy jetliner to Cusco the other day and now that we´ve had a chance to wander around for about three days I can safely say it´s a great place. We are lucky actually in that because of the closing of Machu Picchu and the fact that this is the low season, there are not giant busloads of tourists parading throughout the town and it has a fairly mellow and relaxed feel. You only need to glance at the huge offering of four star hotels, fancy restaurants, numerous artisan markets, and throngs of touts, souvenir stalls, and sellers of woven crafts to know that the supply right now far outstrips the demand and I´m sure in high season with the star attraction open for business, this place is pretty packed. Right now you´d never know that you were in South Americas most visited town. People here seem to be taking the bad turn of events in stride though and the town (the touristy parts anyway) has little evidence of the disastrous floods we´d read about in Lima. The previous photos with us smiling over Machu Picchu are, of course, fakes. A close inspection would reveal that we posed in front of a mural while staying in Lima. Abundant tourist trade has it´s upside as well. This is one of the only places that we´ve had a choice between many vegetarian places to eat and other, more gringo, kinds of food. I actually expected more McDonalds and Planet Hollywood kind of offerings, but Cusco is surprisingly small-scale so far. We bumped into this guy on our way back from the ruins of Saqsaywayman which proudly tower above the city. Llamas abound here of course, and generally there are a few people in traditional dress around and next to them all too happy to pose for a pic for a few Soles tip of course. 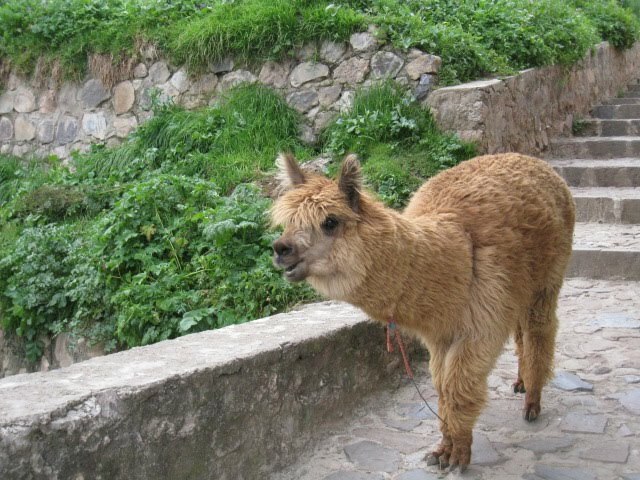 This guy seemed to have lost his way somewhere and was wandering the narrow cobbled streets sans herder. Here is a picture of one small, almost perfectly cut little stone among thousands that were piled into the amazing ramparts of the Saqsaywayman fortress above the city. 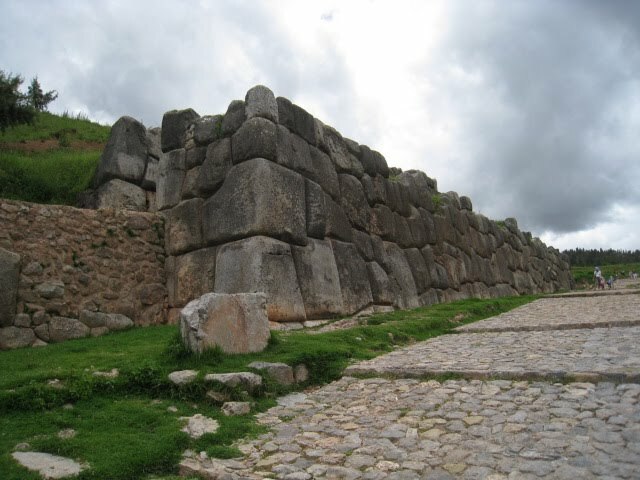 This distictive Stone-masonry is definitely one of the most impressive Incan accomplishments. It´s ubiquitous by now of course, but it´s still impressive by current days standards. 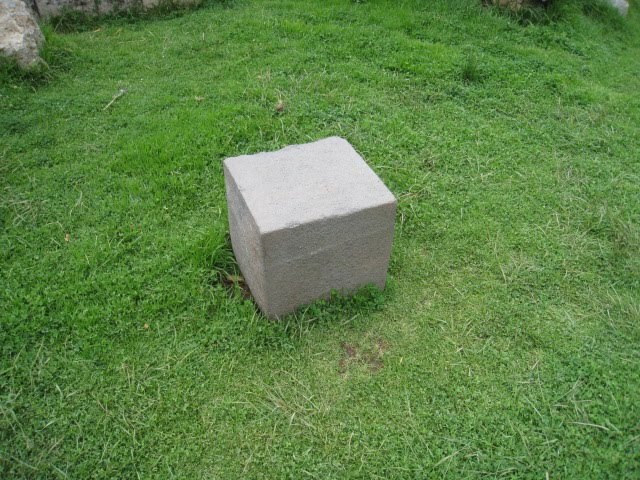 As you can imagine I was just staring at this stone and thinking, ¨I´m impressed¨, and then I took a picture. stuff like mummies which were paraded around and were fed and treated like kings because that´s what they were; dead kings who still get to rule the roost after death. So there was a museum with screaming mummies and other artifacts from the area. 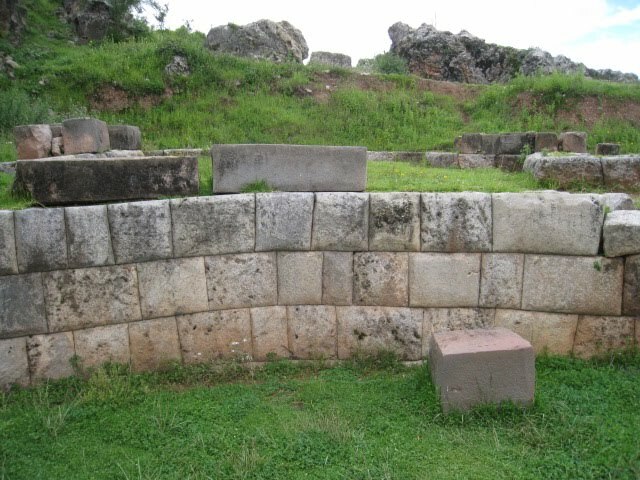 These are the battlements of the fort above the city where the retreating Incans gave the Spanish conquerors a serious run for their money. Bloody battles ensued and finally the Incans capitulated. Only the rocks remain. Well, and their ancestors of course who still inhabit this great city way up in the Andes, llamas and all. The books don´t lie. This place is a gem in mine too.